Berth sixteen in Long Beach, a great deal to do. SOPA COMMINPAC, we’re ready to fight. YOKE is set , hopefully to keep us alive. Yard district craft bustling, First Fleet looking mean. A victory from Commies is what we would rob. We are willing to fight until we are through. 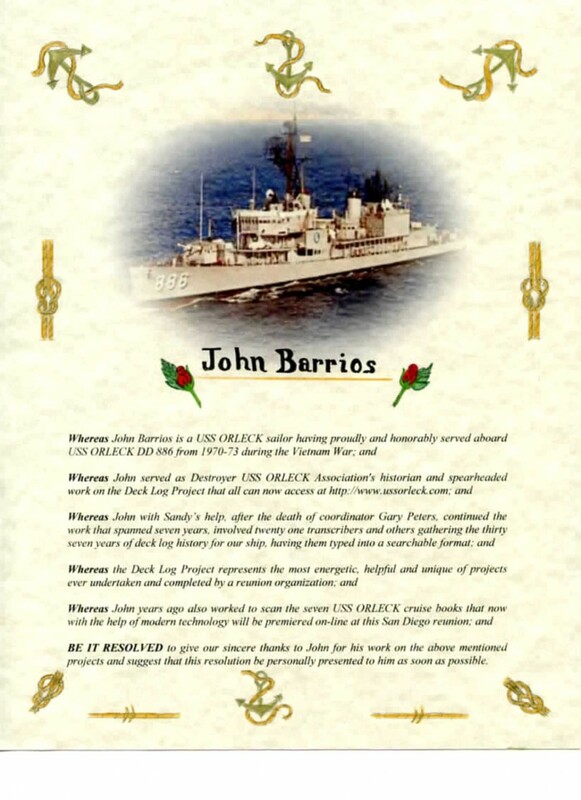 John Barrios award for past work done. All of those speaking received a similar award. John got his award, not because he was there, but because of what it says on the document. John and Sandy are in the middle of building their house in the State of Washington and could not come. I wanted you all to see this. We are so thankful for John and the hard work he did that helped us insure our history will be available for years to come for those who want to know. 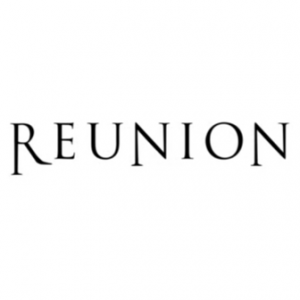 The participants at the 2014 San Diego Reunion signed the back of this document for John. Check out the cruise books. Helen Anderson Glass is a 92 year young NAVY WAVE. She is also a fine poet and true patriot. She is now a friend of mine and I am very proud of that. She has a servant attitude and her life is marked by all the voluntary service she has provided to those in our military. It is such a pleasure to know her and to share her work with you. Printed by permission from Helen. Not just this time of year, No way! Christmas Eve is kind of cool when you get calls from folks you had not heard from for a while and from folks that you are in regular contact with. Both give you good feelings and especially when one shares something with you that opens the door to knowing another special person. That is what happened when my friend Dwight Porter told me of his relative who was a great person, a WWII Navy WAVE and wonderful poet. Her name is Helen Anderson Glass. Dwight shared a poem she wrote on her first Christmas Eve in the Navy. I wrote her and asked if I could share that poem with you. Not only did she agree but she wanted to know about me, USS ORLECK and our Destroyer USS ORLECK Association. She said she might someday even write a poem about the ship for “them” meaning you who served aboard her. So tonight I am posting a couple of things. First an article that is on-line telling of her wonderful life and her voluntary service. The second thing is a Youtube interview she did that is very good. There is a lot on-line about her if you Google her. She has written hundreds of poems. She is 92 years of age. Tomorrow on Christmas Day I will share another of her poems (a Christmas poem entitled “That’s What We Want For Christmas” and a special piece she did for us. You won’t want to miss that. I will post it tomorrow evening. because we were at war! who were not quite sure of our fate! A very Merry Christmas after all. The USS ORLECK DD 886, one of the most decorated ships to have served after WWII, will hold its first Field Day event in Lake Charles LA on March 12 —15, 2015. We need your help and participation! Step up and be one of the heroes to save this wonderful part of American History! ORLECK needs supporters from across the country to come to work on her. Are you a Destroyer sailor whose ship is gone but not forgotten? The ORLECK will provide you the opportunity to revisit your time aboard your ship. Did you serve on a different kind of warship or in another branch of the military? . 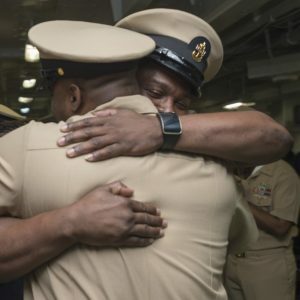 Are you the family member of a sailor or other military member? Are you someone who is just interested in history or just wants to help? If you served during WWII, Korea, Vietnam, any of the more recent conflicts, during peacetime, or if you never served, you can help preserve her legacy! If you can’t participate in March we will be doing additional Field Days in the future. Field Days are open to anyone, young or old, male or female, who wants to come aboard and serve! The USS ORLECK DD 886, a Gearing Class Destroyer and workhouse of the US Navy for 37 years, also served 16 years in Turkey, our NATO ally, as the TCG Yucepepe D-345. She was commissioned at the end of WWII, served gallantly in Korea where she earned four battle stars and distinguished herself as the initiator of the “Train Busters”, then went on to earn 14 battle stars in Vietnam as “Top Gun” and “Grey Ghost of the Vietnam Coast”. She was the US Naval Reserve training ship in Tacoma WA before serving as a Turkish warship engaged in Middle East actions. ORLECK has been back in the United States for almost 15 years and opened to the public for tours and events at her current location in April 2011. She awaits your arrival to work on her and bring her back to represent her days of glory. 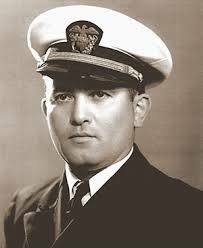 We must share the legacy of the ORLECK and her sailors with our children and grandchildren so they will understand what you did on their behalf and in defense of the Nation and our way of life! It is also a once in a lifetime opportunity to give her a proper restoration and “Welcome Home” recognition as the Vietnam War Veteran she is. In fact, the Senate Concurrent Resolution Number 135 of the 2014 Louisiana Legislature recognized the ORLECK’s distinguished history in its entirety and named the USS ORLECK Naval Museum as the Official Vietnam Memorial Museum Ship of the State of Louisiana. Please join ORLECK’s supporters and volunteers in welcoming her home and preserving her for posterity. Those wanting to attend but are unable to due to age, health, or other circumstances can help in many ways, not the least of which is to know, care, and pray for the efforts of our volunteers. Others can support ORLECK financially and/or with their presence at the Field Days. 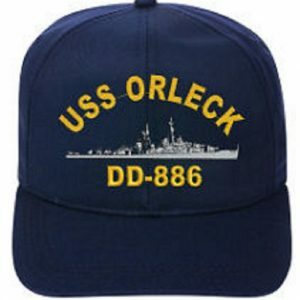 Sign up for USS ORLECK Field Day News emails at http://www.ussorleck.com//field-days-e-mail-list-signup/ which does not commit you to anything. The emails will provide information about the field days should you decide to come or if you just want to follow the happenings. Make travel arrangements. Ok, how do you get to Lake Charles? By car. Lake Charles is located in Southwest Louisiana along IH-10, approximately 30 miles East of Texas border. This is about 2 hours, 15 minutes east of Houston; one hour, 15 minutes west of Lafayette LA; two hours west of Baton Rouge LA; under 3 hours west of New Orleans; and about 4 hours south of Shreveport LA. By air. Air travel to Lake Charles-LCH is by United Airlines via Houston-IAH or American Airlines via Dallas-DFW. One can also sometimes make good connections especially from the East through Lafayette-LFT. Many people find it more economical to rent a car in Houston and drive the 2 hours, 15 minutes to Lake Charles. If you fly to Lafayette and rent a car the drive to Lake Charles is about 1 hour, 15 minutes. (Please note that Houston’s other airport, Houston Hobby-HOU, is another option but American and United do not fly from Houston-Hobby to Lake Charles so you would need to drive to Lake Charles.